Nerds around the world unite! This is your book! If you love video games, 70’s and 80′ pop culture, fantasy, cyberpunk, dystopian lit….then this is the book for you and even if you don’t love those things, you will still find something to love in this book. 18 year old Wade Watts live in the year 2044. The world is a wasteland. The earth’s resources are diminished and society is spiraling out of control, the only thing positive in this dismal world is the OASIS. The OASIS is the internet to the 10th power! It’s a virtual utopian world where you can be anyone or anything you want to be. Each person has their own avatar and you can create your own planets and worlds where you live, play, meet friends, and even fall in love. When the creator of the OASIS, James Halliday, dies he leaves his vast, multibillion dollar fortune to anyone who can find his ‘Easter Egg’ by playing the ultimate video game in the OASIS. Halliday leaves on clue to get people started, a riddle. OASIS users around the world work to solve the riddle. Five years go by and no one seems to know what the riddle means. Until one day, when Wade is sitting in the classroom of his virtual school, it hits him and he realizes what the riddle means. Wade’s quest beings and his life changes forever. When Wade’s name reaches the top of the scoreboard, chaos erupts. His avatar is now the most sought after player on the OASIS. Endorsement add start coming in, offers from other gamers to join him on his search is he promises to share the riches, and an offer from the evil Sixers who work for the corrupt cooperation, IOI. Suddenly, this isn’t just about a race to find the billions of dollars that Halliday has stashed away inside some virtual reality video game….it’s about protecting what little humanity the world has left. Wade and his friends are on the ultimate quest to save the world one pop culture trivia riddle at a time. I can’t say enough good things about this book. I was admittedly, skeptical about this book. I am not really into 70’s or 80’s pop culture even though I was a kid in the 80’s, the 90’s are my era. I’m a total closet nerd, I love sci fi/space flicks, comic books, video games (Zelda being my all time fav! ), fantasy books, and I just started playing WoW. One would think this book would be right up my alley but it just didn’t sound like something I would read for some reason. But I had a copy of the book (thank’s to Crown Publishing), and I’ve seen a few other people reading it in the blog-o-spear who liked it so I thought I would give it a go. I am so glad I did, this was one of the best books I’ve read this year. It reminded me of every great adventure quest book/movie I know…..part Goonies, part Indiana Jones, part Star Wars, part Avatar, part Tron, part Zelda, part Willy Wonka, part Dungeons and Dragons….it was superb. Everything I love about classic adventure quests was in this book, the ‘wise wizard’, the honorable hero, the love interest, and trusty friend. It had all the solid classic fantasy/hero quest adventure markers but what I found most intriguing was the world itself. Talk about mind blowing! I loved the avatar concept and the virtual world. Every little detail was thought of in this utopian society. It was truly a treat for my imagination. 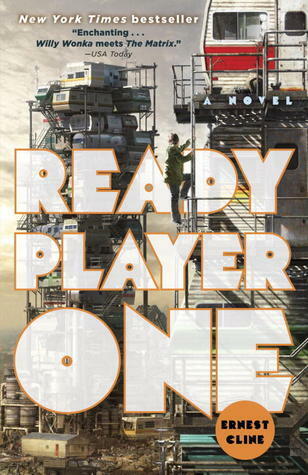 It was truly a thrilling read for my brain….Ready Player One wins top honors for setting and imagination. This book really needs to be made into a movie, and I don’t say that about many books but this would make an outstanding film! I loved all the puzzles and riddles of the quest. They kept me guessing and engaged in the novel. The novel was fast paced and thrilling. I found myself wanting to rush through so I could see what happens next but I forced myself to slow down so I could enjoy the virtual world and setting completely. The characters were solid and memorable, especially Wade. He was real, likable, and honorable….everything a hero should be. Aech and Art3mis were perfect companions to Wade (whose avatar goes by the name Parzival). They are supportive and equally as honorable as Wade. They are all likable and realistic. While the characters provide a solid foundation for the adventure, for me the world/setting and concept took top honors. Log on to the worlds most exciting reality and come play the game that everyone is talking about. Are you ready for the quest player one? I was surprised, also, by how much I enjoyed this book. 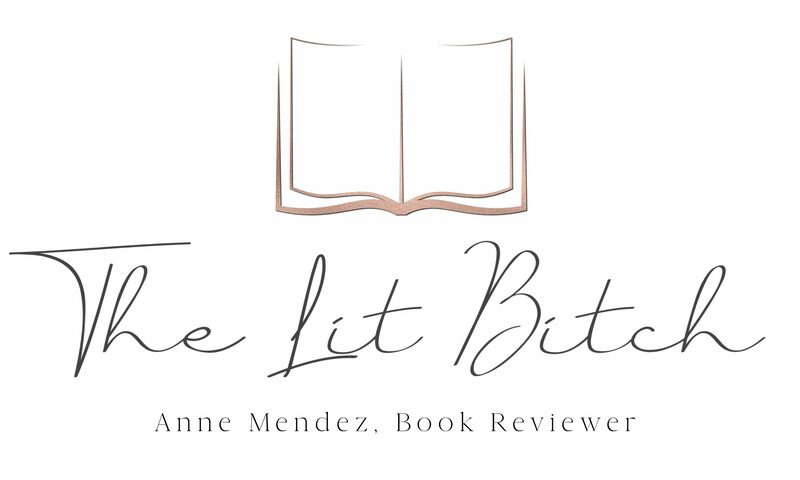 I see great things from this author!